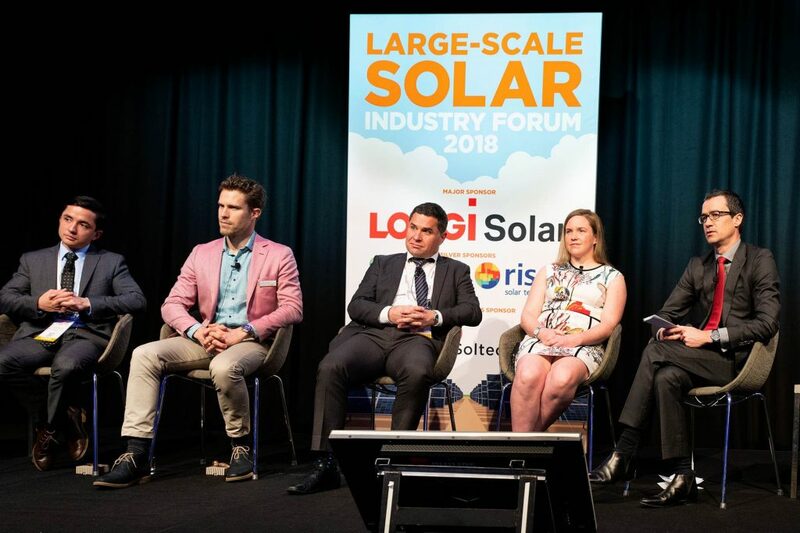 Chief executive of the Clean Energy Council Kane Thornton spoke at the launch of the Large Scale Solar Industry Forum yesterday, saying Queensland is leading the way on large scale solar projects in Australia. Thornton said solar projects across the country amount to $5 billion in investment, with $2.6 billion of this coming from Queensland. For the Sunshine State, this adds up to 2,670 direct jobs in the industry. The fall in the cost of large-scale solar is a major driving factor in this for companies and financiers, according to Thornton. Large-scale solar is cheaper now than either new gas or coal. Thornton described it as a game-changer that has “exceeded the expectations of even the most optimistic predictions”. Support from the Queensland state government, ARENA and the CEFC have also helped make this happen. The Large-Scale Solar Energy Forum is an annual gathering of solar industry experts and professionals to share knowledge and solutions. The 2018 forum featured around 25 presentations. At the forum, the Australian Renewable Energy Agency (ARENA) delivered a paper titled ‘Observations and Outlook of the Large-Scale Solar Sector in Australia’. The presentation highlighted the leading position of Australia on solar. It included that solar looks set to reach parity with wind power three years ahead of expectations. ARENA also emphasised how energy storage batteries will be key in the transition away from coal to renewable energy. The agency has provided funding towards several major solar and energy storage projects in Queensland. These include Kennedy Park and Genex Power’s Kidston Renewable Energy Hub. Genex Power gave a corporate presentation, also using the Kidston project as a case study. This project is a combination of solar and pumped storage hydro. While Stage 1 is now complete, Stage 2 includes a water battery providing power for up to eight hours. While solar energy was the star of the forum, there was emphasis on battery storage for the industry to thrive. This is because battery storage helps ensure reliability of supply in the renewable energy market. Solar storage is not just for mammoth projects however. Home solar panel owners can also benefit from solar batteries such as the Tesla Powerwall, by making use of previously generated and stored energy.